Offer the most popular laser treatments to ALL of your patients, no matter their skin color or genealogy. Powerful Alexandrite and Nd:YAG laser wavelengths combined with the ideal spot shape and cooling system will allow you to do just that. A new super-elliptical spot shape reduces the amount of overlap of pulses and optimizes energy distribution on the skin, reducing the risk of burns and increasing treatment speed by up to 30% compared to standard round spot shapes. Shorter treatment times and avoid accidental pulse overlapping with this new scanner handpiece. Store your personalized treatment configurations such as area, overlap and scanning modes and access them quickly directly from the integrated touch screen. Dimensions and Weight 26″(W) x 37″(D) x 44″(H) | 397lbs. 1064 nm (pulsed) Intended for the coagulation and hemostasis of benign vascular lesions such as, but not limited to, port wine stains, hemangiomas, warts, telangiectasia, rosacea, venus lake, leg veins, spider veins and poikiloderma of civatte; and treatment of benign cutaneous lesions such as warts, scars, striae and psoriasis.The laser is also intended for the treatment of benign pigmented lesions such as, but not limited to, lentigos (age spots), solar lentigos (sun spots), cafe au lait macules, seborrheic keratoses, nevi, chloasma, verrucae, skin tags, keratosis and plaques. The laser is also indicated for the treatment of wrinkles such as, but not limited to, periocular and perioral wrinkles. The laser is also indicated for the treatment of facial wrinkles. 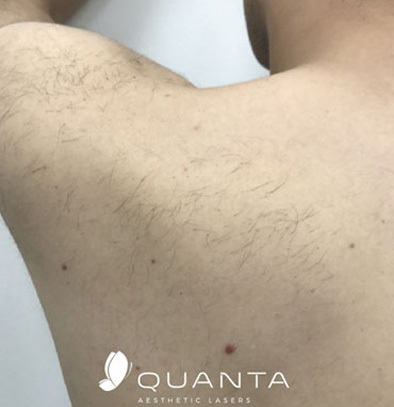 Additionally, the laser is indicated for the treatment of pseudofolliculitis barbae (PFB) and for stable long-term, or permanent hair reduction. Permanent hair reduction is defined as long-term stable reduction in the number of hairs regrowing when measured at 6, 9 and 12 months after the completion of a treatment regime. It is indicated for the reduction of red pigmentation in hypertrophic and keloid scars where vascularity is an integral part of the scar. The laser is also indicated for pigmented lesions to reduce lesion size, for patients with lesions that would potentially benefit from aggressive treatment, and for patients with lesions that have not responded to other laser treatments. It is indicated for use on all skin types (Fitzpatrick I-VI ) including tanned skin, and the removal and permanent reduction of unwanted hair in Fitzpatrick I-VI, including suntanned skin types. 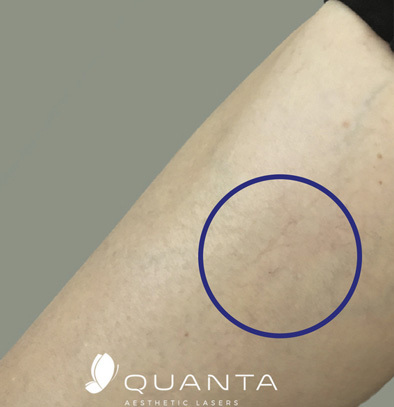 755 nm (pulsed) Indicated for stable long-term, or permanent hair reduction.Permanent hair reduction is defined as long-term stable reduction in the number of hairs regrowing when measured 6, 9, or 12 months after the completion of a treatment regime. It is used for all skin types (Fitzpatrick I-VI) including tanned skin. It is also indicated for the treatment of vascular lesions, benign pigmented lesions, and wrinkles.